WASHINGTON – U.S. Rep. Glenn ‘GT’ Thompson on Thursday was sworn in as U.S. Representative for Pennsylvania’s 15th Congressional District for the 116th Congress. “I am humbled by the opportunity to serve the residents of Pennsylvania’s 15th Congressional District in the U.S. House,” Thompson said. The 15th Congressional District of Pennsylvania is made up of all or part of 14 counties. All of: Armstrong, Cameron, Clarion, Clearfield, Elk, Forest, Indiana, Jefferson, McKean, Venango, and Warren counties; and part of: Butler, Cambria, and Centre counties. 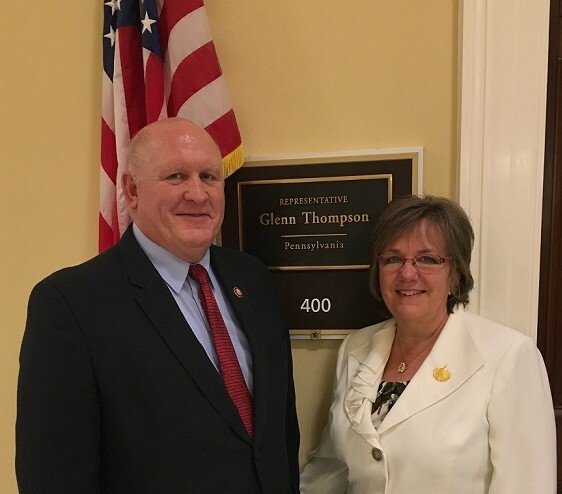 Thompson, a life-long resident of Howard, Centre County, is the co-chairman of the Bipartisan Career and Technical Education Caucus and the German-American Caucus. With the start of the 116th Congress, Thompson opened a new regional office in Oil City, Pa., and moved his office in Washington, D.C. The Bellefonte, Pa. office remains open and a third regional office will be announced soon.